comfy. There’s a cat, of course, curled up in the curve of the woman’s folded legs. sort, acceptable snoring, not enough to destroy their marriage. Then, of course, there’s Henry. to beat his father-in-law RESOUNDINGLY at ping pong… just one glorious time. These things I state in the order in which Henry most desires them. Life. So, Henry’s feeling a little sad, not at the moment, of course, but in general. and who knows what the man’s breath may be like at this hour. Bears’ Picnic once or twice in your own head. I’ll wait. disgusting, you know, something icky. Enough guesswork. 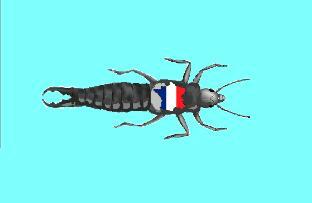 It’s a bug, an earwig. It’s an earwig. awkwardly into the cavern below and begins to enter the ear. There it goes now. lovely white hand on top of his. If you choose, she pats it. walk around prattling like a five year old in French. It has even less to do with my questionable skills as a cellist. There are deeper wounds, concerning ping-pong. RELOCATION AND WELL-EARNED RETIREMENT FUND.